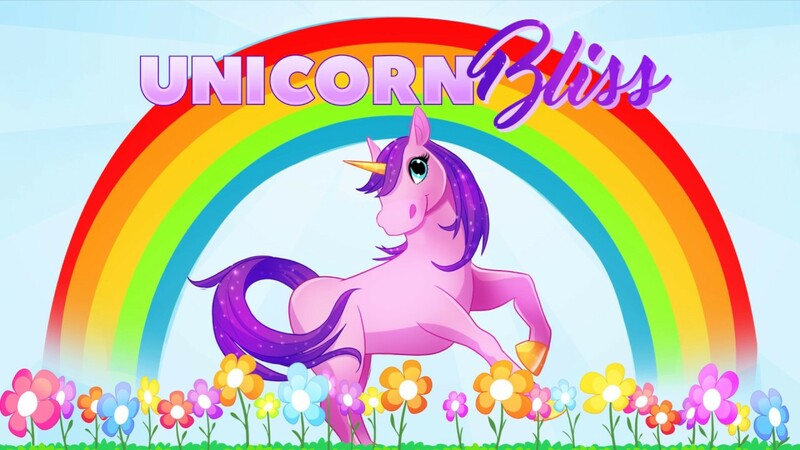 Gallop all the way to cloud 9 and take a trip to the unicorn stable in Unicorn Bliss, a colourful and childlike 5 reel online casino slots game. Explore the rainbows and blooming flowers, and encounter magical horned creatures that will give you generous prizes and free games following every spin of the enchanted reel. This mystical adventure is one you definitely won't forget anytime soon, a game backed by incredible graphics with a smooth gameplay complemented by the big winning chances that can be triggered. Australia’s own Eyecon. With over 6 billion spins on their games every year, this developer remains one of the pioneers of the industry, having been up and running for nearly 20 years. Fluffy Favourites, as well as Irish Luck, both remain well-known staples of Eyecon’s portfolio. With over one hundred and sixty games developed, for all demographics, it is not surprising that there are over six billion spins every year on their games. This developer is in good stead to continue well into the future. Click here to see the full online slot games list. 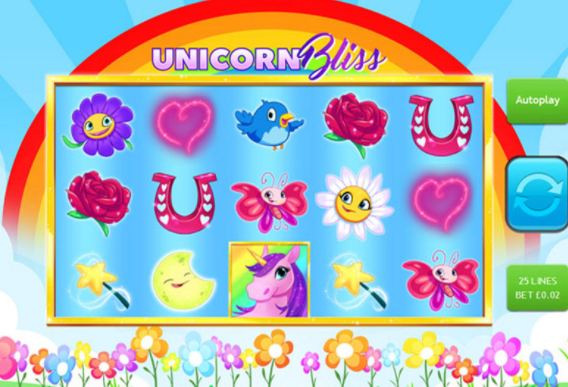 Unicorn Bliss almost definitely appeals to the slightly more cutesy side of the online slot gaming market. With a cartoon oriented, animal-based theme, this Eyecon product is vibrant, easy to use slot game, with a number of features that make it worth playing. 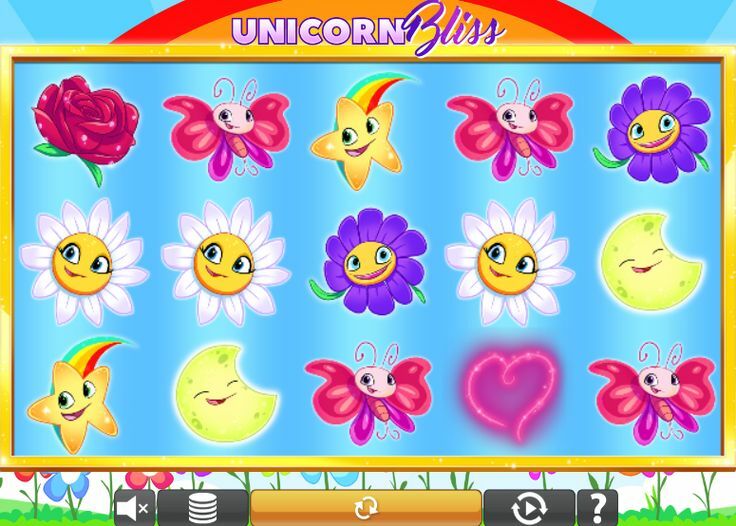 Although not every player is a fan of rainbows and unicorns, those who are will find Unicorn Bliss an endearing, simplistic addition to their slot game library. The art style itself is very stylised, with flowers, birds, insects, and even the sun and moon gave happy, beaming faces. With magic wands and shooting stars surrounded by a colourful, flower-filled field background, this cheery game will light up your mood. Although the sound effects and music do not match the scene presented to the player, the stereotypical ‘win’ jingle certainly makes you happy. With the usual 4 x 5, (up to) twenty-five pay line slot board, it’s not difficult to understand why people play Unicorn Bliss. With a low minimum bet of 0.25, as well as a surprisingly small maximum bet of 12.50, it is clear that this slot game is meant to be played with relaxation in mind. The high rollers among us may ask, however, what is the point in playing if you cannot bet the amount you would want? There is a simple answer: the top prize – a hefty multiplier of 2400x! The unicorn itself functions as the Scatter symbol for this slot game. If the player gets three, four, or five of these symbols on the board, they will be given fifteen, twenty, or twenty-five free spins respectively. This is incredibly generous, as, within these free spins, more free spins can be gained! It certainly feels good when you get a win on top of a win on top of a win! It is worth noting that when you get the free games, a much more jovial tune plays, to highlight how lucky you are getting them. Again, this music can get repetitive if you have a lot of free spins, but it is easily turned off in the options menu. The rainbow symbol can substitute all symbols on the reel, except for the unicorn – this means that you can continue winning, and, in fact, your winnings are doubled if this symbol gets involved! A cheery, light-hearted online slot game allows the player to relax, and spin relatively low bets for an easy gaming session. Wholeheartedly recommend! Another brill game to try is our Three Stooges slot.